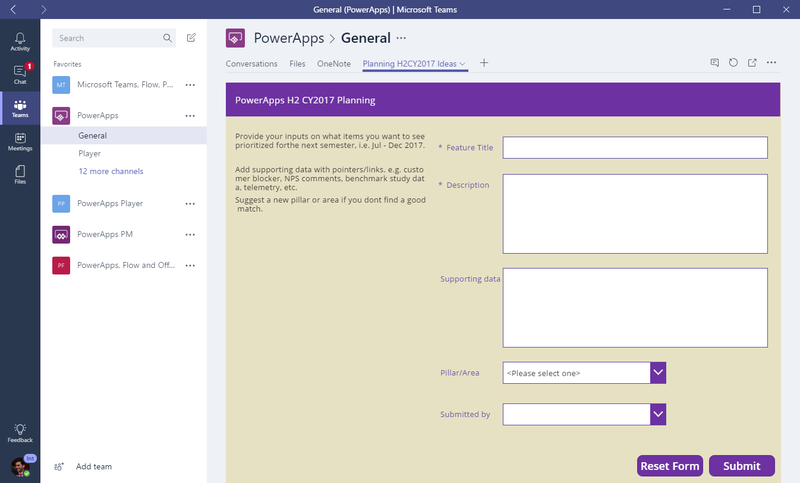 We are happy to announce availability of PowerApps within Microsoft Teams. If you are not aware, Teams is a chat-centered workspace in Office 365 that brings people, conversations, files, and tools into one place – go check it out. Note: You will need to share the app and the data sources with your team members. 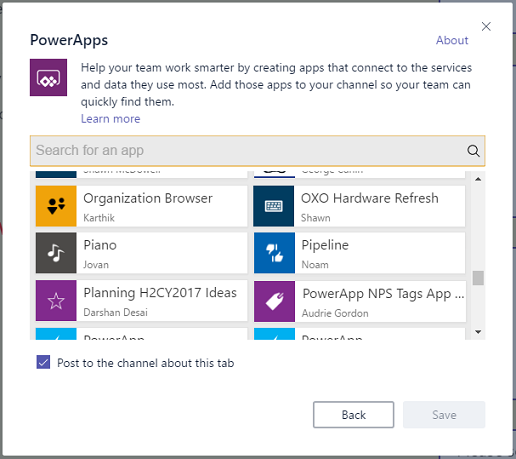 Learn about sharing an app in PowerApps. And that is it, you will have your app running within your team channel. Go ahead and add your apps to your team channels. Once you have tried it out, we are eager to hear your feedback, reach us at PowerApps community or Teams tech community. 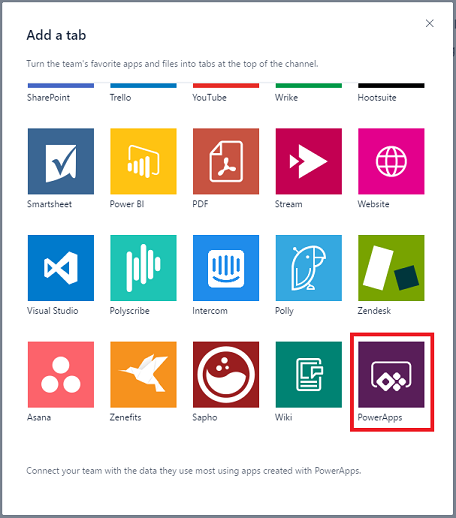 PowerApps is a service for building and using custom business apps that connect to your data and work across the web and mobile - without the time and expense of custom software development. Please enter your work or school account to get started. By signing up, you agree to the terms of service.